Anyone mat side for any NYWAY Regional or State Tournament MUST have their Safe Sport Training. See link below to request your training. 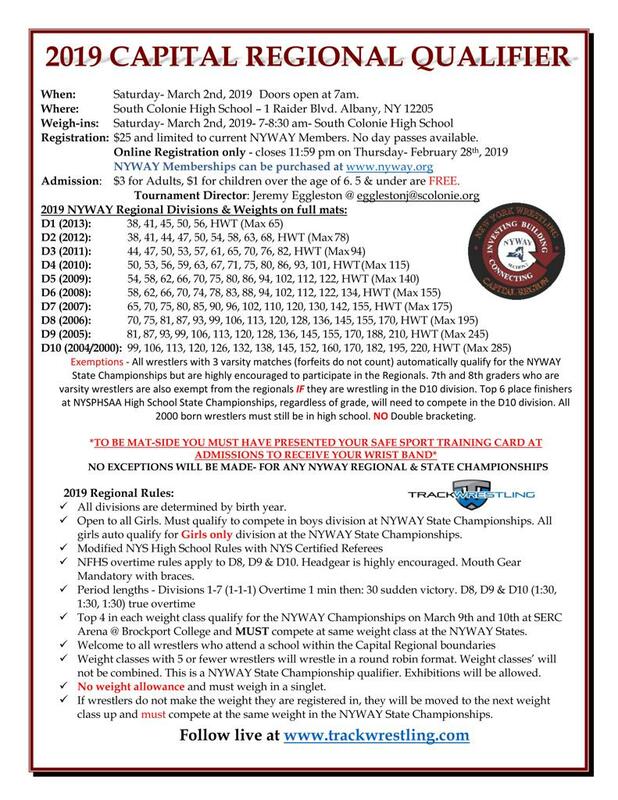 Click on link above to get your Athlete their Individual Membership before moving onto the 2019 Capital Region Qualifier Registration! Click here to register for the Capital Regional Qualifier! Printable Capital Regional Qualifier Flyer!